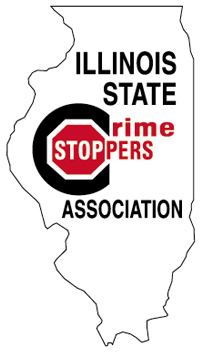 The Illinois State Crime Stoppers Association is a broad-based crime fighting and crime prevention program whose mission is to develop and facilitate Crime Stoppers programs through the State of Illinois. To promote, through marketing and awareness, the concepts of Crime Stoppers by facilitating the partnership between the community, media, and law enforcement for the purpose of crime fighting and crime prevention. To promote the creation of local and scholastic Crime Stoppers programs throughout the State. To provide leadership through the use of an annual state conference, continuing education, resources, statistics, and mentoring, as well as maintaining, improving, and expanding training programs. To maintain a high level of program standards through a system of certification. To communicate through networking and publication and to provide representation at the local, state, national, and international levels. To secure and provide funding to meet state association goal.